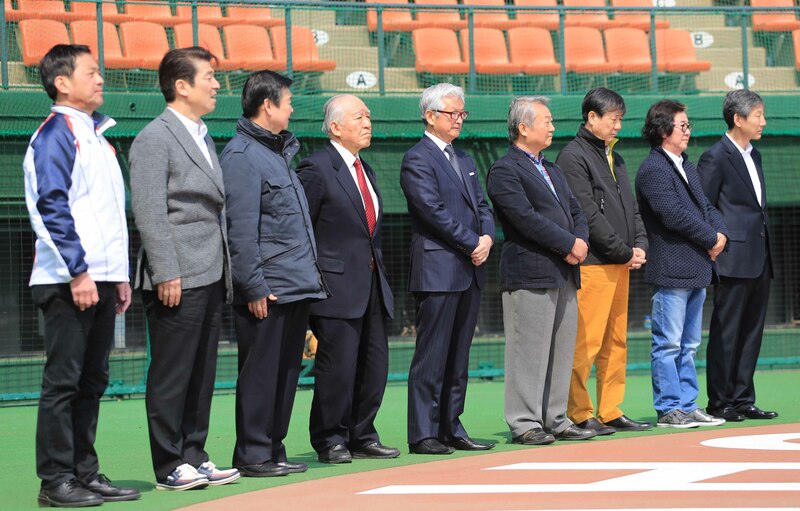 Team Korea led by WBAK Chairman Jung Jin-Koo visited Japan to play goodwill baseball games at Fuchu Municipal Stadium in Tokyo and trained together with Asahi Trust team, after losing the two games against Heisei International University 5-0 and Hamanji Club 8-1 respectively on Saturday, March 14, 2015. The 3rd and final game on Sunday against Asahi Trust turned out to be a thrilling competion which was narrowly won by the host. Masatake Yamanaka, Manager of Japanese National Team of 1992 Barcellona Olympic congratulated members of both teams after the game for their strong performance. Korea has been awarded by WBSC to host the 7th Women’s Baseball World Cup in Gijang County in Busan Metropolitan City in 2016, which will be the third World Cup event in Korea with the other two being the 1982 World Cup and 2012 18U World Cup. 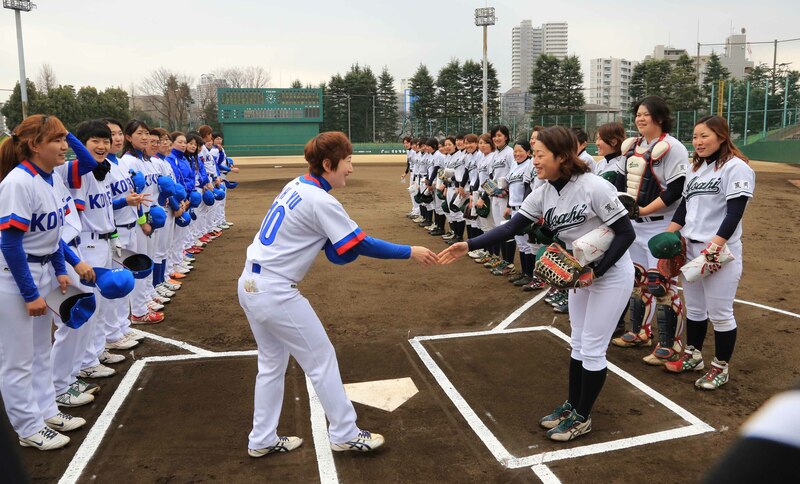 Asahitrust Company which sent its Women’s Baseball Team to Korea in 2014 was the principal sponsor of the event supported by Tokyo Metropolitan Government, Baseball Federation of Japan, Japan Amateur Baseball Association, Women’s Baseball Federation of Japan (President Kazuo Hasegawa) and Women’s Baseball Association Korea. WBAK Vice Chairman Kim, Hyungsik and Director Chang, Yoon-Hoo accompanied the Korean contingent and confirmed that Women’s baseball in Korea has grown recently with baseball being the most watched sport in the country.